Sushma Kallam is descended from a long line of Indian farmers in villages close to the Krishna river in Andhra Pradesh state. During her childhood she lived for a year in the peaceful village dwelling of her grandparents, and has since returned there frequently. After earning an engineering degree in India she came to the US in 2001 to work. She became an independent IT consultant specializing in supply-chain management – optimizing incoming and outgoing raw materials and manufactured goods and services for international markets. In that world, she learned about the ways in which neoliberal economic development – “globalization” – was disrupting traditional rural life in India. She came to realize that complex global supply chains conceal what happens to those who pay the price for our cheap consumer goods. Kallam wanted to go behind the computer models and supply-and-demand economics to discover more about the traditional communities and environments that are disappearing due to fast-paced modernization. 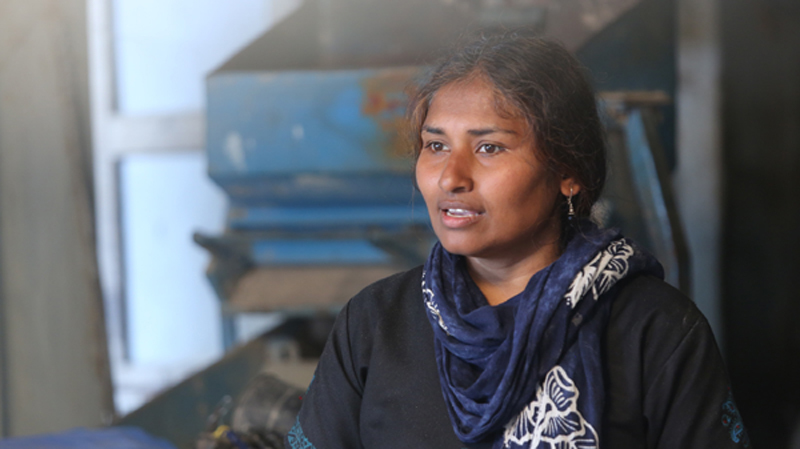 In 2009, she traveled back to her family home in Andhra Pradesh to see for herself what was happening at one of the many first links in a supply chain. A journalist friend introduced her to a widow who had lost her husband after the government had seized their village’s land to give it to a foreign company and had sent in riot police to put down protests. State and federal governments and large companies have been aggressively acquiring land to build many “Special Economic Zones” (SEZ’s) around India to provide hassle-free environments for overseas investors. Because villagers in rural farming and fishing settlements do not speak English, they are sitting ducks for manipulative, deceitful middlemen. They are losing their fertile land, which means they are losing their livelihoods and way of life. In return, they are receiving empty promises and are often being exploited. The Walls and the Tiger presents her vision of the conflicting priorities and values that have come into play as India’s development policies – increasing GDP and average incomes (which are virtually meaningless among the large majority of Indians who are subsistence farmer-villagers with little involvement in any cash economy). Her film explores the results of global outsourcing and development policies that in India – as in many other nations – grant priority to fast-track industrialization, personal wealth for a few who are equipped to secure profits by any means, menacing populations and environments, alike.